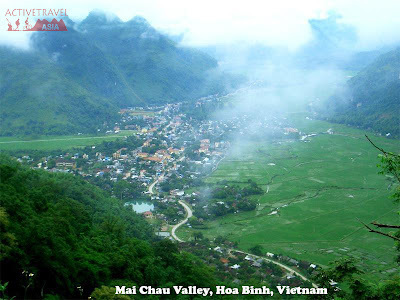 Mai Chau, a small town in the northern mountainous province of Hoa Binh, Vietnam was named one of the top ten "fresh" Asian destinations. Mai Chau was described as "a semi-isolated village in Vietnam...surrounded by limestone cliffs and green rice paddies, populated largely by members of the ethnic White Thai tribe..."
These destinations all had high growth rates and attracted many foreign travellers as well as increasing amounts of vacationing locals. Mai Chau was described as "a semi-isolated village in Vietnam...surrounded by limestone cliffs and green rice paddies, populated largely by members of the ethnic White Thai tribe...Vibrant, verdant green rice paddies surround the town on all sides, and dramatic hills rise up on either side of the valley. The town itself isn't particularly stunning, but it's when one gets out into the countryside or head up into the hills that the breathtaking views get better around every corner. There are also several interesting markets to check out, as well as some nearby caves." 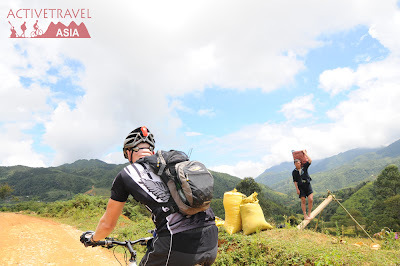 With many foreign tourists, Mai Chau is the interesting ideal for trekking trips or cycling options to discover the natural beauty of the region and exotic culture of minority groups. 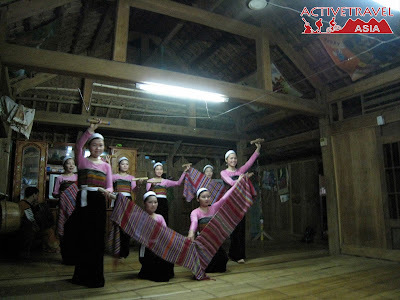 This trip offers a great combination of cultural expedition and trekking. We trek for three days through the spectacular scenery, visit remote and stay overnight in local homes where we have the chance to get to know these hospitable villages. 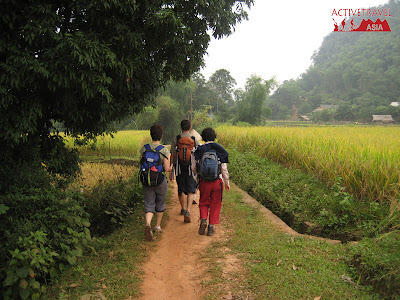 From the mountainous region of Mai Chau, we travel back to the nation's capital, Hanoi. Tam Coc - the "Halong Bay on the rice fields"
Impression about Vietnam on a cycling tour.